Posted by Jonny Greenwood on 11/27/2018 4:39:11 PM. Google has recently added the feature of uploading local ebooks to Google Play Books app, for both iOS, Android, and web reading platform. After we reported this information on our G+, many people said that they can't find an access to upload downloaded books into Google Play Books. 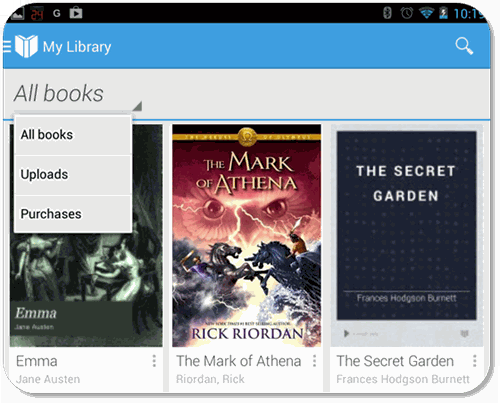 So today I am introducing how to upload local downloaded book to Google Play Books app. At this moment, Google allows you to upload no DRM protected ePub and PDF books, so if your books are just protected by Adobe or Nook DRM. Please use this tool to decrypt them all at first, it's pretty easy-to-use, one click you can finish the job. First you need to visit this page: https://play.google.com/books/uploads. And you have two ways to upload a book, from computer or Google Drive (an online file storage service provided by Google). 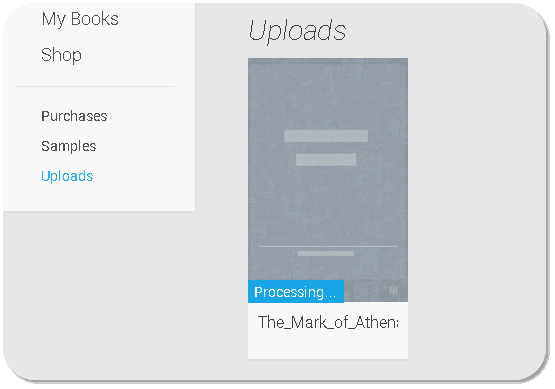 Choose the way you like, find the book, then click upload, you can see the upload process bar as the image above shows. 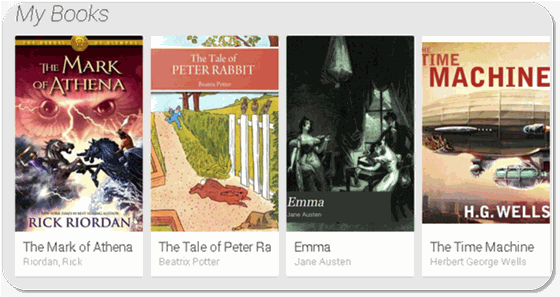 Then you will see this book displayed in your Google Play Books library, with your purchased books. On the web page, just go to "My Books" page, then click on the book's cover you will be able to read it via web browser. And on your Google Play Books app on Nexus 7, iPad and all the Android and iOS devices. Once you run the app, the uploaded book will be synced automatically. Import rejects book more than 50 mo.